November 22, 2015 .Reading time 4 minutes. It’s that time of year, where dramatic and glittery makeup looks are out to play. 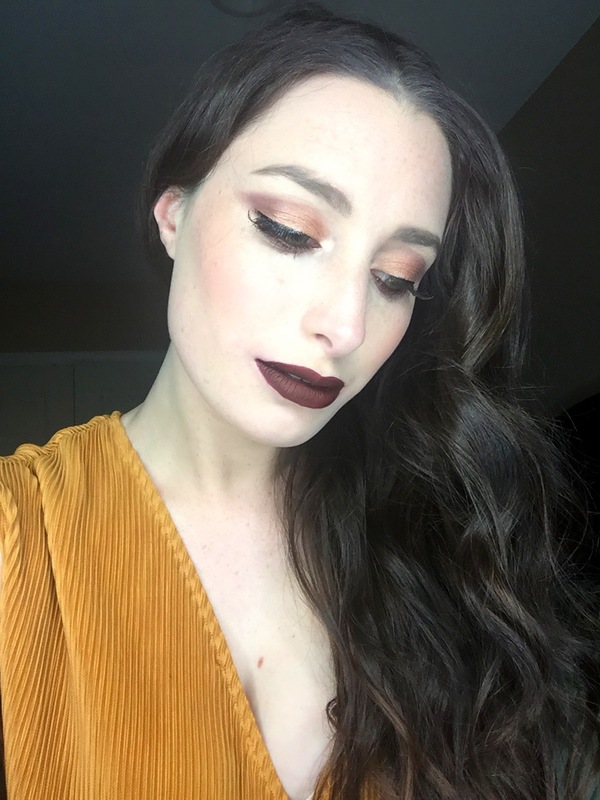 I’m of course talking about holiday makeup looks. There are countless options for holiday makeup looks this season, you could always go with the classic red lip and winged eyeliner, or you can try something a bit off the traditional path like the look above. Holiday looks have become even easier to create, and more glam than ever before with the slew of holiday palettes that hit the market this time of year. Just check out your local Sephora or Ulta and start putting beautiful palettes on your wishlist. 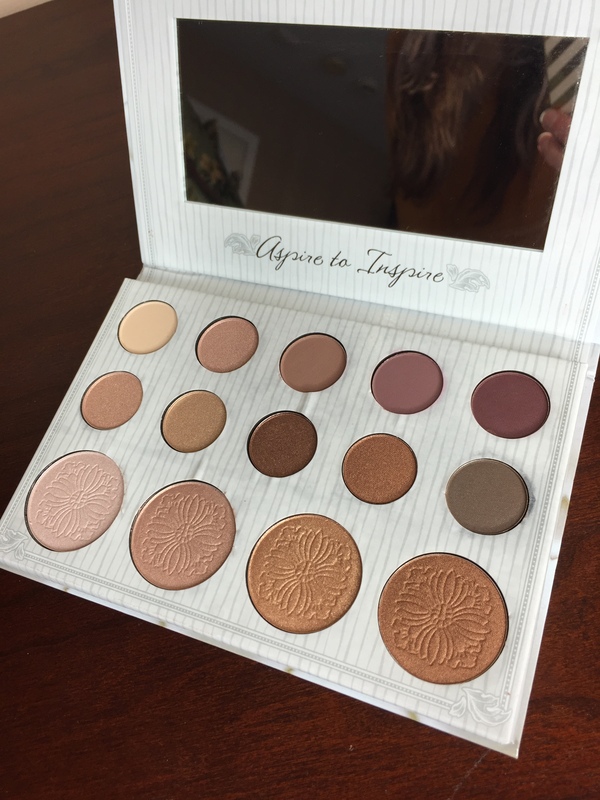 The palette I used is actually from my all-time favorite affordable brand, Colourpop Cosmetics. 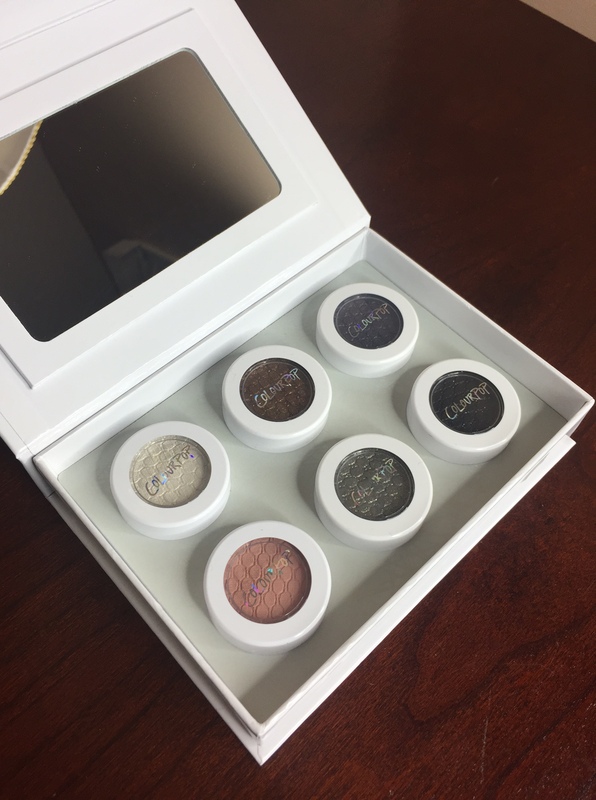 It’s their holiday Blitzed Palette, which features six stunning Supershock Shadows. The shadows are actually more cool toned, accept one spellbinding gold, and it was fun experimenting with the cool grays and blues. Not gonna lie, this look has Winter Wonderland written all over it, and is perfect for any party. I really love this for a Hanukkah look because of the stunning blues. 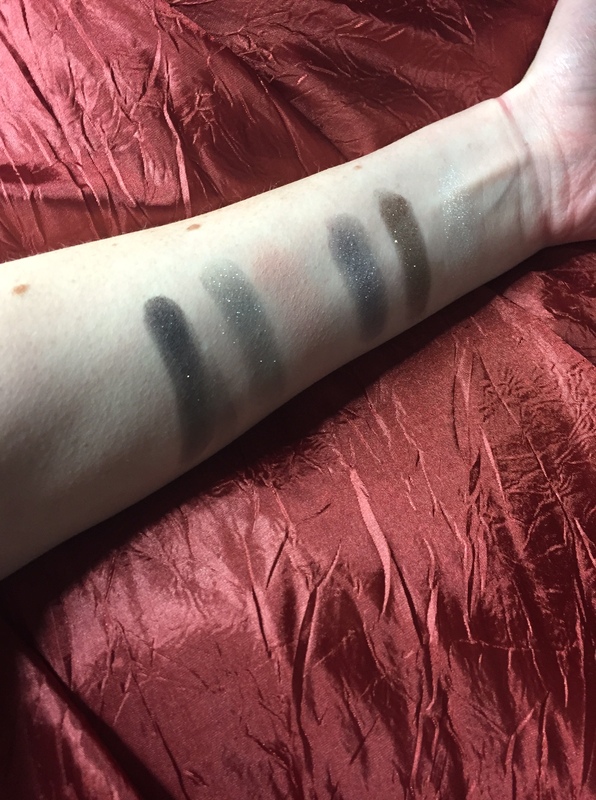 As always, swatches and makeup details are below. Have a great holiday, I’ll have more looks coming! This palette retails for $30, and the case is super nice and strudy. 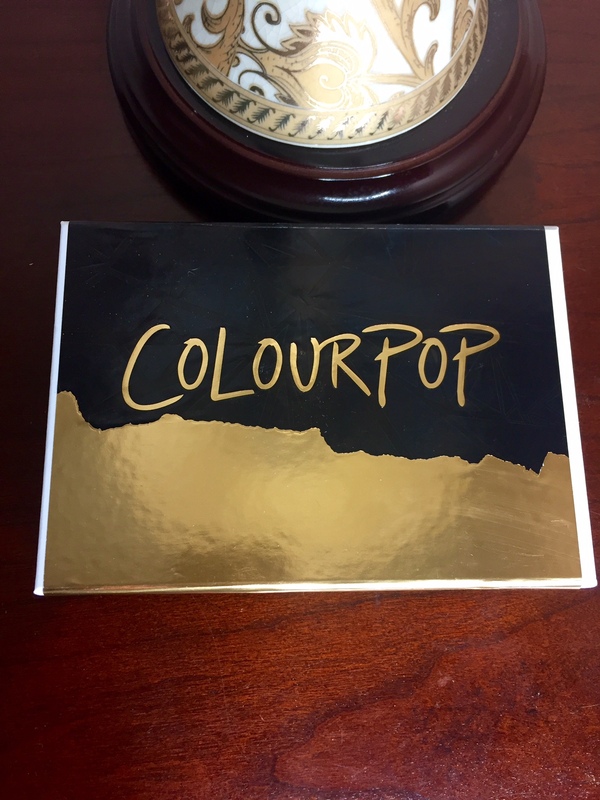 This must be new packaging for Colourpop and I love it. 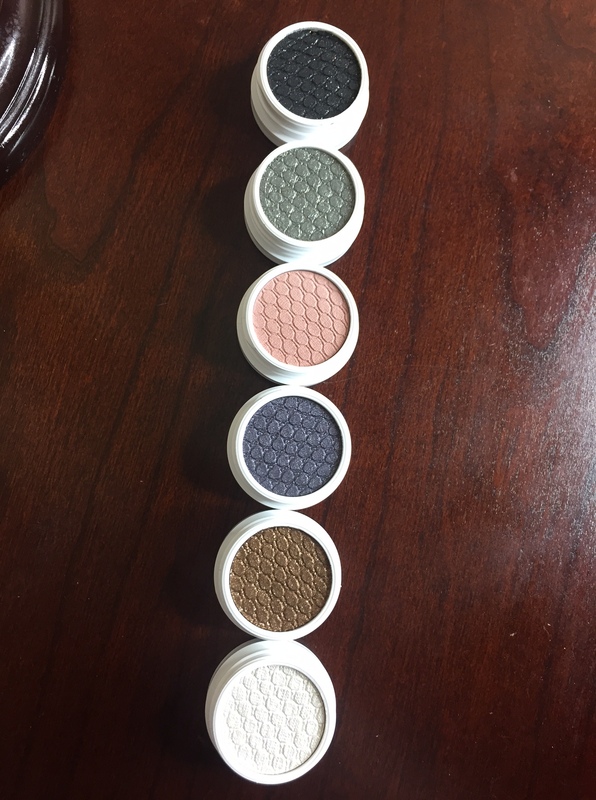 There’s a magnetic closure and mirror, which is perfect for travel, you could even mix and match your favorite Colourpop shadows and store them in here. The quality, like always, is on point. You can’t go wrong with buying this for a Secret Santa party of for yourself, teehee. 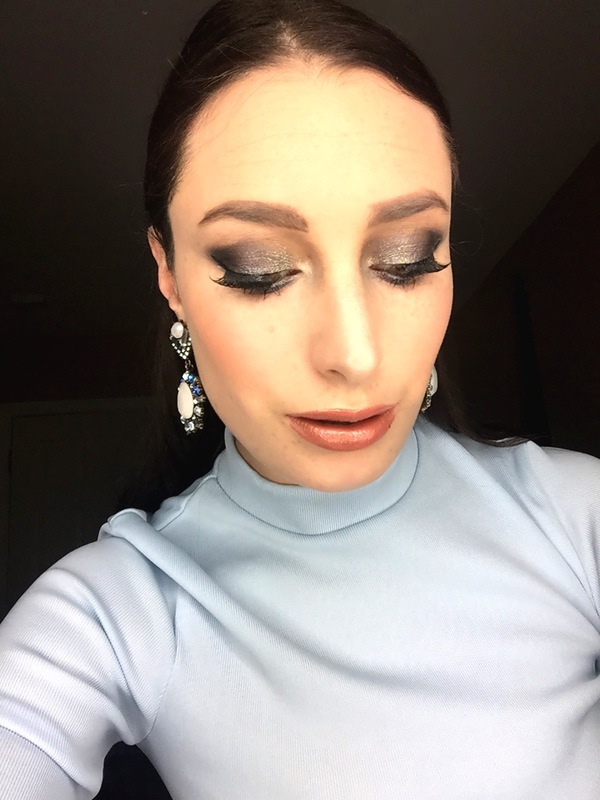 Lid: Colourpop Blitzed shadows- Inner lid- That Girl (silvery blue). Middle of the lid- Fan Girl (whimsical purple blue, my favorite shade!). Outer lid- Roller Girl (sparkly blue-black). Lower lashline: Fan Girl mixed with LORAC Pro Palette shade in Slate. Similar: Nvey Eco Eye Shadow in Midnight Blue. Eyeliner: Top liner- Jordana Cat Eye Liquid Liner in Black Leather. Bottom liners- Covergirl Flamed Out Shadow Pencil in Crystal Flame (I’d probably use NYX Milk next time, this was shimmery and stung a bit). I then used Rimmel Scandeleyes Eyeliner in black on the outer waterline. Lashes: Ardell Glamour Demi Wispies in 105. L’Oreal Telescopic in Carbon Black on the lower lashes. Blush: Milani Baked Blush in Rose D’Oro. Highlighter: Becca Cosmetics Moonstone Shimmering Skin Perfector Pressed Highlighter. Used on nose, tops of cheek bones, and cupid’s bow. Lips: NYX Sand Pink Slim Lip Pencil, MAC Velvet Teddy lipstick, and BareMinerals Marvelous Moxie Lipgloss in Birthday Babe, which I believe you can only get as an Ulta birthday perk, but any pinky shimmer gloss will do. Similar: BareMinerals Spark Plug Lipgloss or Rimmel Stay Glossy Lip Gloss in Always Lovely. November 15, 2015 .Reading time 6 minutes. Good morning all my fellow makeup mavens! Or at least it’s morning while I’m writing this; now that I’m out of my Halloween makeup looks (so sad, you can view my C3PO look on my Instagram) I’m really excited to delve into all the products I’d bought in October. The first product I needed to get my hands dirty with and my face pretty with is the BH Cosmetics Carli Bybel Palette. Carli Bybel is probably my favorite Beauty Youtuber, she’s a fellow New Jerseyian, and absolutely stunning with a big heart. About 4 million other people must envy her beautiful makeup because this palette sold out at lightning speeds. At only $12.50, with 14 gorgeous plum, mauve, gold, and coppery eyeshadows, and 4 stunning highlighters, why wouldn’t this baby be a hit? I had never tried anything from BH before this palette, and I will say their process for getting the items to the consumer was a bit half hazard. Anyway, enough about processes! 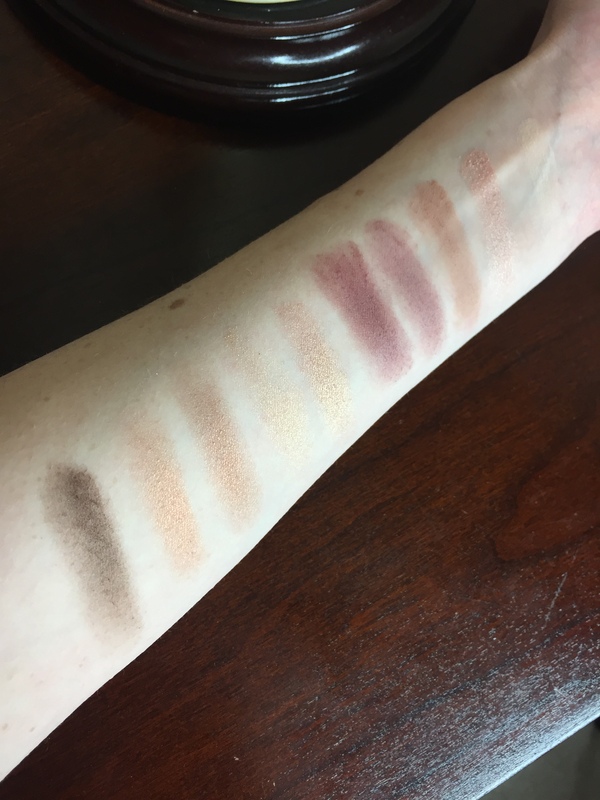 Look below for a review, swatches, and a full makeup look using this palette. Order your’s here, it’s out of stock for now, but hopefully it’ll come back soon. So as I had mentioned above, I’ve never used BH Cosmetics products. But this palette was just too beautiful not to buy, and really inexpensive, which had me a bit skeptical because even drugstore brands like Maybelline and L’Oreal who have their own palettes can be a bit pricey. The packaging is a crisp white, which I’m sure I’ll get dirty, and it’s nothing super sturdy. The product inside is all I really care about, and I have to say these are pretty darn good. Some shades are a bit powdery, but nothing that has me freaking out over fallout, and they’re all pretty pigmented, especially the satiny/glitter shades. 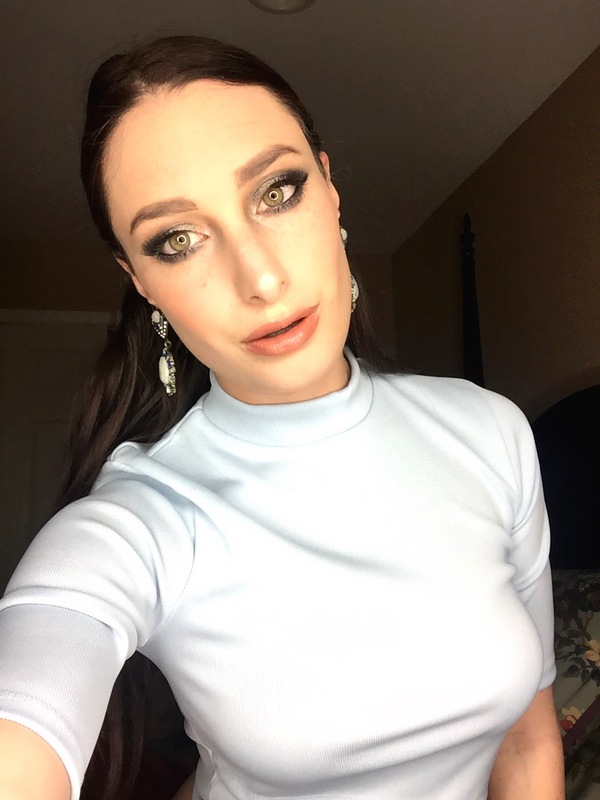 I really love that Carli choose shades that can be used for day or night, and have enough variety you’re not buying another knockoff Naked Palette. The shades to the left are perfect for highlighting and a softer look for school or work, the middle 6 are knockouts for everyday, and the last two will definitely vamp up your look. They lasted about 7 hours. I think the eyeshadows are a solid 9/10. Now for the highlighters, there are 4 highlighters that range from a pale pale pink, to a fierce bronze. I will say I love that there are quality highlighters in this palette. It’s rare to ever find highlighters in a palette especially ones as good as these. 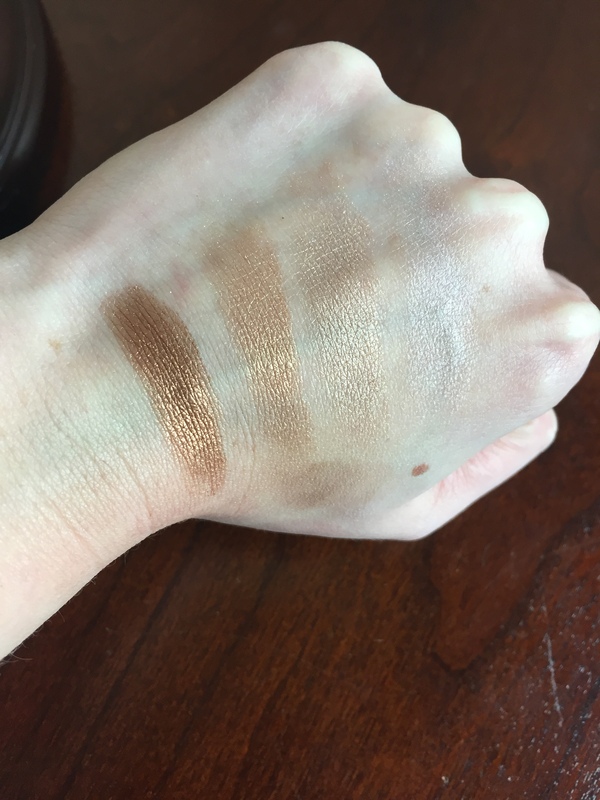 The first two work best on my ghostly skin tone, but I can also get away with the third gold if I use a light hand or mix it; it’s very pigmented. The last shade doesn’t work as a highlight for me, but it’s well-suited for darker skin tones, and I can definitely use it as an eyeshadow because that shade is fierce. I don’t think I’ve ever found better drugstore priced highlighters. They get a 9.5/10. I think this palette is an absolute steal. I really hope BH can stock this up before the holidays, because it would make a great gift for Secret Santa parties, your best friend, even yourself, if you’re so inclined. Carli did an amazing job, I may have to check out more BH after buying this palette. Eyeshadows start from wrist up, beginning with top row of palette then going to bottom row of palette. 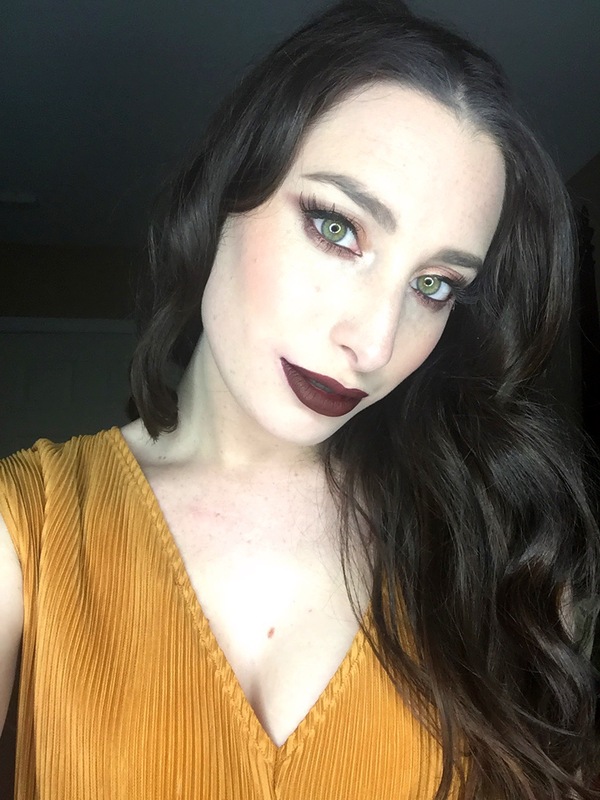 Brows: NYX Microbrow in Brunette, with Maybelline Brow Drama Pro Palette in Deep Brown, and NYX Brow Mascara in Brunette. 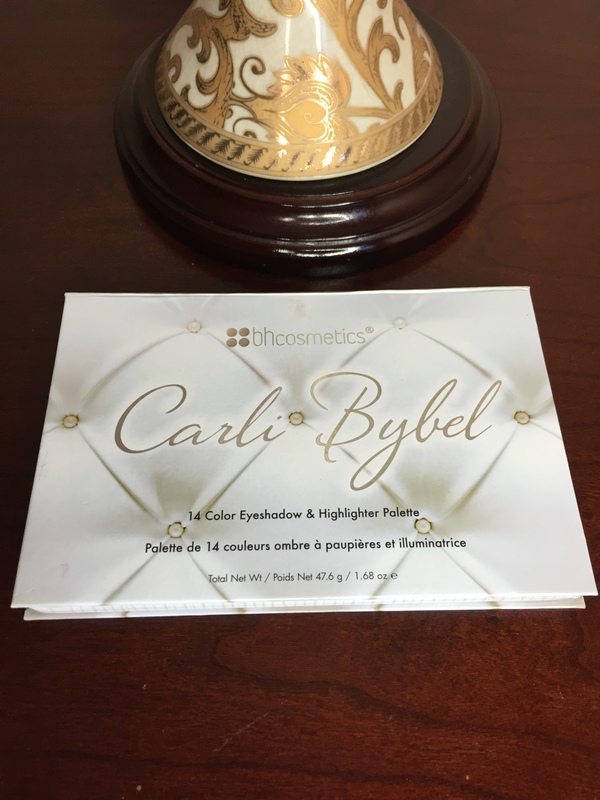 Highlight: Carli Bybel highlighters #3 mixed with #2. Lips: Colourpop Ultra Matte Lipstick in LAX, currently out of stock 😦 but this shade is STUNNING. 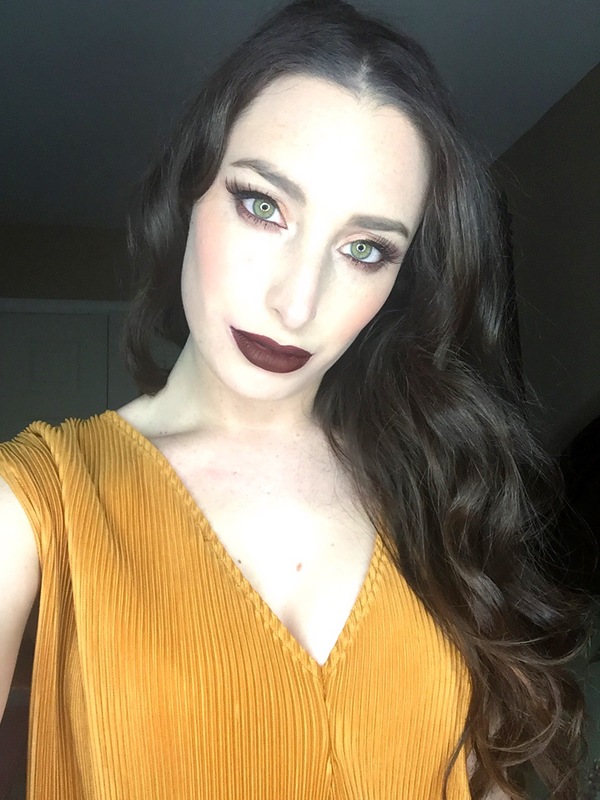 Similar: Anastasia Liquid Lipsticks in Heathers and Vamp.